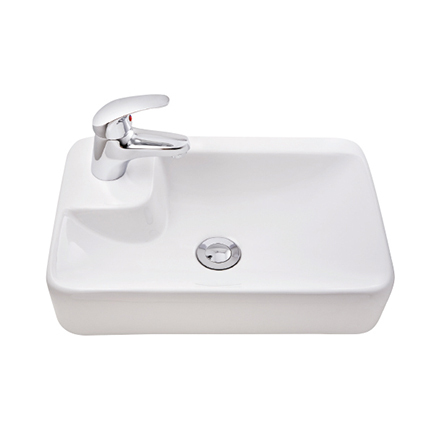 Fill vitreous china wall basin, left hand single tap hole, no overflow. Can be countertop mounted if required. Comes with fittings.